Raw food and sugar from a little fruit is fine on a raw food diet, which is normally fairly low in sugar anyway. 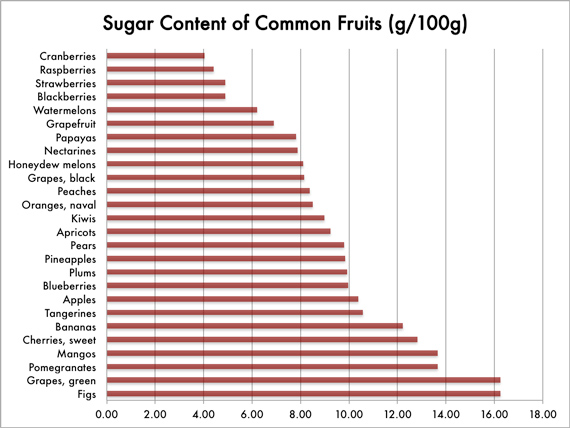 But I always recommend avoiding fruits and their sugar content when first starting. You see, your body has probably been corrupted by a S.A.D. (Standard American Diet). As a result, you’re probably over-sensitive to sugars of every kind! This extreme reaction is NOT a natural response to sugar — its an over-reaction by the pancreas to a lifetime of consuming refined sugars at every meal! The Islets of Langerhans are clusters of 3,000 to 4,000 cells (1-2% of the pancreas) that regulate blood sugar. When these cells are damaged by a lifetime of abuse, they can over-react whenever you eat any sugar causing you to “crash” after a sugar “rush.” The answer for most people is a nice cup of coffee — which I also do not recommend! Sometimes the Islets of Langerhans just shut down completely and stop making insulin, the hormone you need to convert sugar into energy. So to balance out this over-reaction to sugar as you try to get return to a natural state of health, I recommend avoiding any added sugars as well as most fruits while your bodies re-adjust. This can take a few months up to a year or more. There are several kinds of sugars to avoid when starting out on a vegan lifestyle. Table or granulated sugar, called sucrose, is the most obvious. But the body hydrolyzes sucrose into fructose and glucose, so we need to avoid those as well. Other ‘disaccharides’ to avoid include maltose and lactose, which are not technically classified as sugars and sometimes are used as artificial sweeteners. Remember, even fresh organic fruits contain some fructose so try to avoid these until you rehabilitate your pancreas. 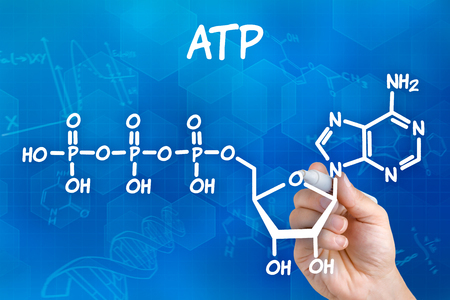 ATP – the Second Most Important Molecule in Your Body after DNA. One of the most important molecules in your body is ATP (adenosine triphosphate) — the main source of energy for all your cells. ATP is the highest energy source in the human body, used to build the more complex molecules that make your muscles work, generate electricity in your nerves — and even generate the light in fireflies. Virtually all living things produce ATP, powering every function of every cell in every biological organism on Earth. All organisms, from the simplest bacteria to people, use ATP as their primary energy currency. The energy it carries is just the right amount for most all your biological reactions. Yes, the nutrients you consume contain some energy, but that is not in a form your cells can use for most of their work. All the 100 trillion human cells (approximately) in your body contain about 1,000,000,000 ATP molecules. Sounds like a lot, however that is only about 50 grams of ATP, enough for just a few minutes so it must be continuously recycled. Our body designed to get most of its energy from ATP, which stores its energy until you need it then converts at a ratio of 32:2. But after a lifetime of eating tons of sugar, your body has almost forgotten how to make ATP so is now almost totally dependent on glucose for all its energy! Now it may even be hard to get through a day without drinks filled with caffeine and sugar. So take all the time you need to make this transition with compassion for yourself by avoiding sugar at first. A little fruit, which doesn’t contain glucose, may diminish sugar cravings a bit, but that can make it harder to get all the sugar out of your diet. Your body gets most of it’s quick energy from glucose, which it converts to energy at a ratio of 2:1. The difference between 2:1 (for glucose) and 32:2 (for ATP) is almost impossible to imagine! The quick energy you get from Glucose is ideal for your ‘flight or fight’ mechanism — a burst of energy for when lions, wolves or a bill collector are chasing you down the street. It isn’t meant for normal, every day energy. But sadly, that is actually how most people get ALL their energy these days because we’ve all become addicted to sugar. So its very important to take the time to train your taste buds to appreciate the natural sweetness in whole, organic raw foods. Some natural sweeteners are OK, but it is best to avoid any sweeteners at all so you’ll learn to appreciate the natural taste of fresh, healthy fruits and veggies the way that nature intended. Fructose is metabolized by your body very differently from glucose. The commercial food industry, of course, puts tons of fructose in everything so they can at least claim there isn’t any glucose. But the problem is that fructose isn’t converted to energy like glucose. It’s actually metabolized by the liver which turns fructose into liver fat inside that leads to chronic diseases like diabetes and heart disease. 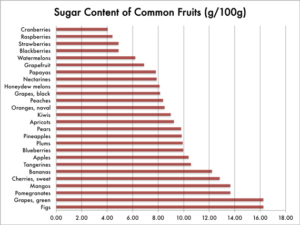 Healthy organic fruits actually don’t contain that much fructose at all. The problem is that much we’ve been eating processed foods for years that are often sweetened with disgusting, unnatural amounts of fructose! If you always thought agave was natural, think again! Modern commercial agave nectar is as much as 92% fructose because it has been so commercialized that today it’s just a profitable business for greedy corporations and farmers. Most agave you can find today is nothing at all like traditional agave nectar made from the core of the plant (i.e., the “pina”). Today’s commercial agave is mostly made from the sap of the giant root — virtually the opposite of the pina. The main ingredients in agave roots are mostly just chains of fructose molecules … not really traditional agave syrup at all! These days you can’t even find real agave nectar, although agave marketing is totally dependent on the reputation of traditional agave. But traditional agave is extremely rare and expensive to make from only the core of the plant (the pina), but never the root! Typically, even commercial agave syrup is processed at very low temperatures, so some raw foodists are fooled into thinking it is a raw food product. Commercial agave is NOT a raw food product at all — it’s very highly processed, regardless of the temperature. Actually, it is almost impossible to find traditional agave nectar made from the pina. The commercial form of agave is even higher in fructose than HFCS (high fructose corn syrup). So it’s best to avoid agave nectar entirely! Behe, Michael. 1996. 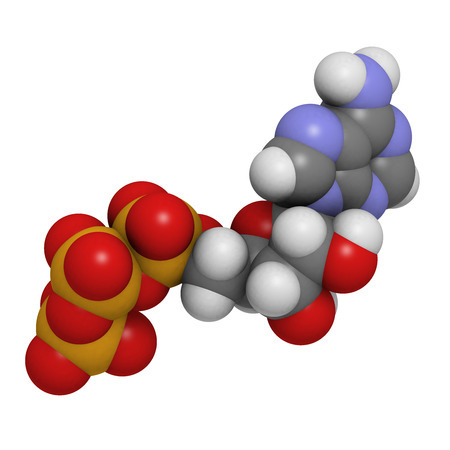 Darwin’s black box: The biochemical challenge to evolution. The Free Press. New York. Goodsell, David S. 1996. Our molecular nature. Springer-Verlag. New York. Hickman, Cleveland P. 1997. Integrated principles of zoology, 10th edition. William C. Brown/McGraw Hill. New York. Hoagland, Mahlon and Bert Dodson. 1995. The way life works. Random House. New York. Jensen, Marcus, Donald Wright, and Richard Robinson. 1997. Microbiology for the health sciences, 4th edition. Prentice-Hall. Upper Saddle River, NJ. Lim, Daniel. 1998. Microbiology, 2nd edition. William C. Brown/McGraw Hill. New York. Mader, Sylvia. 1996. Biology, 6th edition. William C. Brown. Dubuque, IA. McMurry, John and Mary Castellion. 1996. Fundamentals of general, organic, and biological chemistry, 2nd edition. Prentice Hall. Upper Saddle River, NJ. Ritter, Peck. 1996. Biochemistry, a foundation. Brooks/Cole. Pacific Grove CA. Talaro, Kathleen and Arthur Talaro. 1993. Foundations in microbiology. William C. Brown. Dubuque, IA. Campbell, Neil A.; Williamson, Brad; Heyden, Robin J. (2006).